This name uses Spanish naming customs: the first or paternal family name is Mestre and the second or maternal family name is Batista. Maria Teresa, Grand Duchess of Luxembourg (born María Teresa Mestre y Batista; on 22 March 1956), is the spouse of Grand Duke Henri. 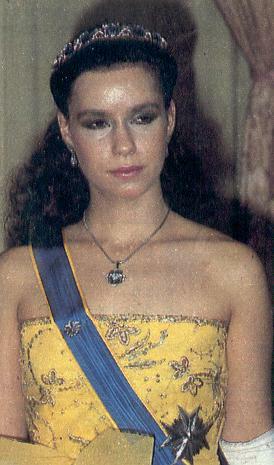 Maria Teresa was born in 22 March 1956 in Marianao, La Habana Province, Cuba, to José Antonio Mestre y Álvarez (Vedado, La Habana Province, 1926 – 1993) and wife (m. Vedado, La Habana Province, 1951) María Teresa Batista y Falla de Mestre (Vedado, La Habana Province, 1928 – 1988), both from bourgeois and Noble families of Spanish descent, her maternal grandmother being a great-great-great-great-granddaughter of the 2nd Count of Casa Montalvo, and she being a third cousin of actor Néstor Carbonell. The Mestre family have as their patriarch Arnau Mestre, born Landorthe, who married in 1625 in San Pedro de Ribas. One of his descendants, Francisco Mestre y Roig Benaprés (born in 1787 in Sitges) travelled to Cuba in 1830 where he married Josefa Dominguez y Morales (born in 1764, daughter of Andres Domínguez y Bencomo and wife Manuela de Morales y Ponce de León), being the founder of the Mestre family in Cuba. The Grand Duchess also descends through her father from the Spanish Espinosa de los Monteros Noble family. Her maternal grandparents were Agustín Batista y González de Mendoza (Batista family member with possessions in the town of Puerto de Santa María del Príncipe and no family relationship with Fulgencio Batista), Chairman of the Board of Directors of the Trust Company of Cuba and wife María Teresa Falla y Bonet, daughter of the Spanish tycoon Laureano Falla y Gutiérrez, millionaire businessman whose fortune was made up of several sugar mills, two banks (one of which is "The Trust Company of Cuba") and other goods which were confiscated by the government of the Revolution. In October 1959, at the time of the revolution, Maria Teresa Mestre left Cuba with her parents. The family settled in New York City, where, as a young girl, she was a pupil at Marymount School. From 1961 she carried on her studies at the Lycée Français de New York. In her childhood, Maria Teresa Mestre took ballet and singing courses. She practices skiing, ice-skating and water sports. She lived in New York City, Santander, Spain, and Geneva. In 1980 she graduated from the Graduate Institute of International and Development Studies in Geneva with a degree in political sciences. Soon after her marriage, Maria Teresa and the then Hereditary Grand Duke Henri established The Prince Henri and Princess Maria Teresa Foundation to assist those with special needs integrate fully into society. 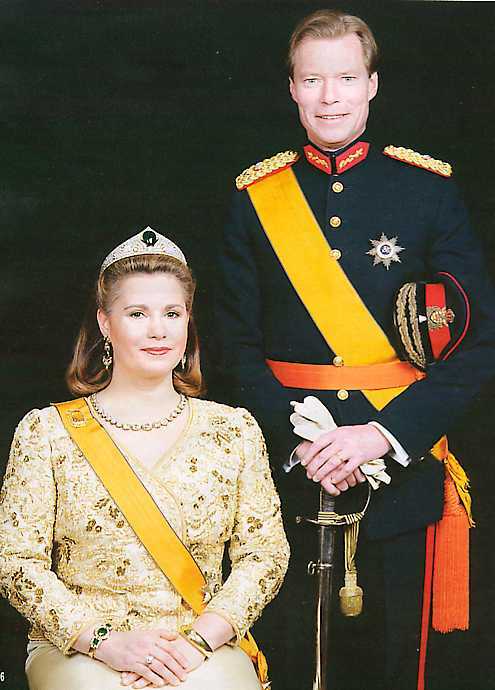 In 2001, she and her husband Henri create The Grand Duke and Grand Duchess Foundation, launched upon the accession of the couple as the new Grand Duke and Grand Duchess of Luxembourg. 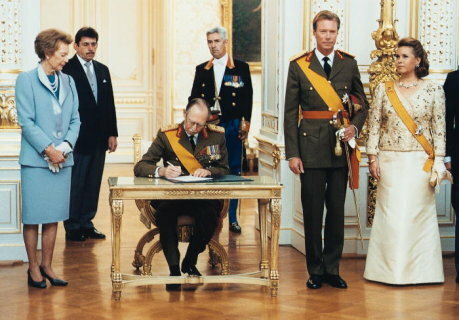 In 2004, the Foundation of the Grand Duke and Grand Duchess of Luxembourg was created after the merging of the two previous foundation. In 1997, Maria Teresa was made a special ambassador for the UNESCO, working to expand education for young girls and women, and help to fight poverty. 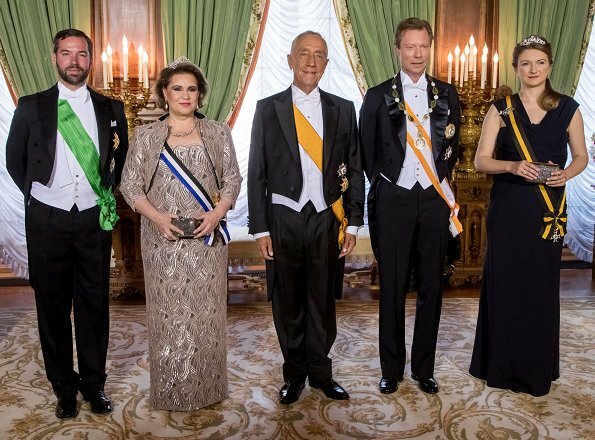 Since 2005, Grand Duchess Maria Teresa is the Chairwoman of the International Jury of the European Microfinance Award, which annually award holders of microfinance and inclusive finance initiative in developing countries. Also since 2006, Maria Teresa has been Honorary President of the LuxFLAG (Luxembourg Fund Labeling Agency), the first agency to award and put label the microfinance investment funds around the world. On 19 April 2007, the Grand Duchess was appointed the UNICEF Eminent Advocate for Children, in which role she has visited Brazil (2007), China (2008), and Burundi (2009). She is a Member of the Honorary Board of the International Paralympic Committee. She is also the president of Luxembourg Red Cross and the Cancer Foundation. In 2016, she organized the first international forum on learning disabilities in Luxembourg. In October 2016, the Grand Duchess accepted an invitation to join the eminent international Council of Patrons of the Asian University for Women (AUW) in Chittagong, Bangladesh. The University, which is the product of east-west foundational partnerships (Bill and Melinda Gates Foundation, Open Society Foundation, IKEA Foundation, etc.) and regional cooperation, serves extraordinarily talented women from 15 countries across Asia and the Middle East. In 2019, Grand Duchess Maria Teresa presented her initiative "Stand Speak Rise Up!" to end sexual violence in fragile environments, launched in the cooperation with the Women’s Forum and with the support of Luxembourg Government. The conference is in partnership with the Dr. Denis Mukwege Foundation and We Are Not Weapons of War. The Hereditary Grand Duke of Luxembourg (Guillaume Jean Joseph Marie), born 11 November 1981, married Belgian Countess Stéphanie de Lannoy on 20 October 2012 in Luxembourg. From her marriage until her husband's accession on 7 October 2000 she was styled Her Royal Highness The Hereditary Grand Duchess of Luxembourg. 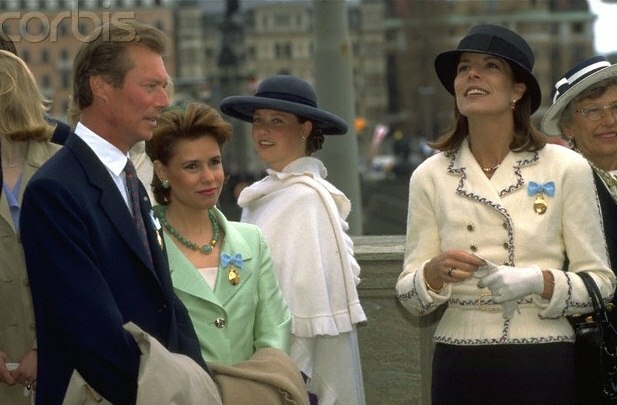 Since then, she has been known as Her Royal Highness The Grand Duchess of Luxembourg. 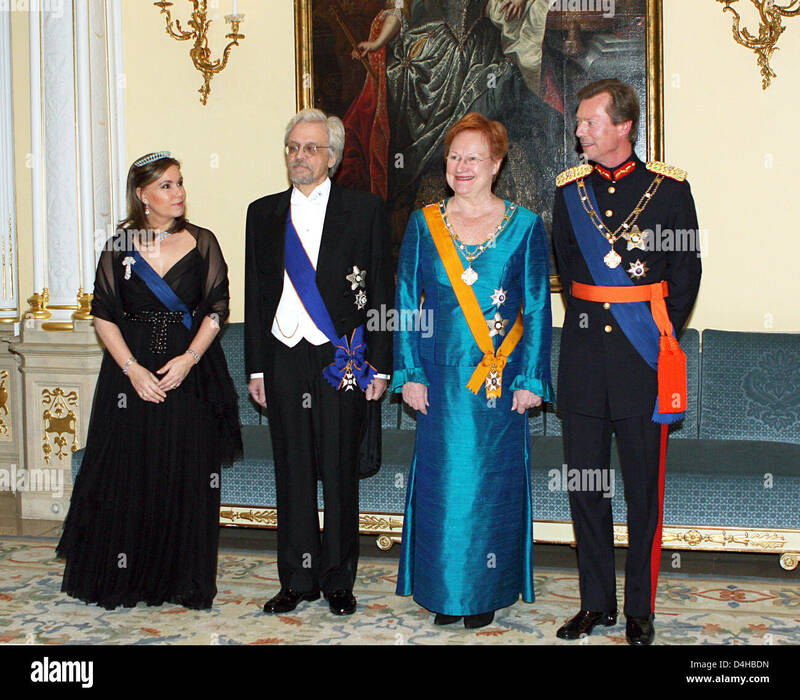 ^ a b c "Grand Duchess Maria Teresa of Luxembourg". Unofficial Royalty. Retrieved 11 December 2018. ^ a b "Charity Spotlight: Foundation of the Grand Duke and Grand Duchess of Luxembourg". royalcentral.co.uk. Retrieved 11 December 2018. ^ a b c "La Grande-Duchesse" [The Grand Duchess]. Cour Grand-Ducale de Luxembourg (in French). Retrieved 11 December 2018. ^ "HRH Grand Duchess of Luxembourg becomes Eminent Advocate for Children". UNICEF. Retrieved 2016-01-23. ^ "UNICEF Eminent Advocate for Children visits AIDS projects in São Paulo". UNICEF. Retrieved 2016-01-23. ^ "Summer camp aims to help children in China affected by AIDS". UNICEF. Retrieved 2016-01-23. ^ "Grand Duchess Maria Teresa of Luxembourg visits Burundi". UNICEF. Retrieved 2016-01-23. ^ "Her Royal Highness Grand-Duchess of Luxembourg Joins the Asian University for Women Council of Patrons". finance.yahoo.com. ^ "CURRICULUM VITAE OF HER ROYAL HIGHNESS GRAND DUCHESS MARIA TERESA OF LUXEMBOURG" (PDF). monarchie.lu. ^ "About". Stand Speak Rise Up! Official Website. Retrieved 6 March 2019. ^ "Luxarazzi: New Family Portraits of the Grand Ducal Family". lux-arazzi.blogspot.co.uk. Retrieved 2016-01-23. 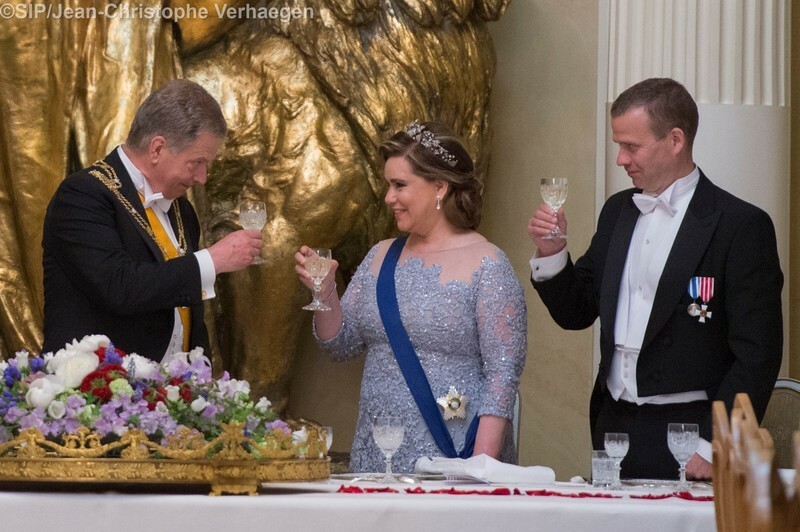 ^ "Diamonds and sapphires: Stephanie's tiara choices". hellomagazine.com. Retrieved 2016-01-23. ^ "Foreign recipients list". Retrieved 17 December 2017. ^ "Royal Bling". Pinterest. Retrieved 2016-01-23. 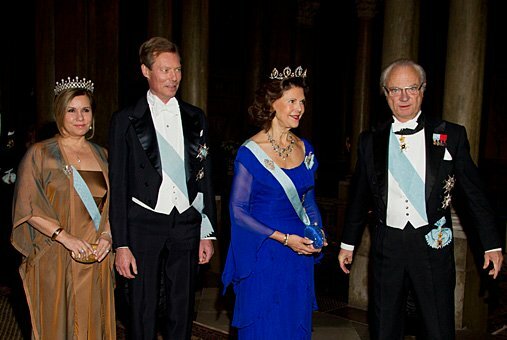 ^ "Grand Duchess Maria Teresa and King Carl gustaf of Sweden arrive for..." Getty Images. Retrieved 2016-01-23. ^ "revue.lu - Hochzeit des Jahres". Pinterest. Retrieved 2016-01-23. Wikimedia Commons has media related to Maria Teresa, Grand Duchess of Luxembourg. This page was last edited on 20 April 2019, at 20:32 (UTC).